In modern day terms it is closely related to "Keeping Up With the Jones". It is materialism. It is lusting after what someone else has. It is putting something or someone in a higher position of importance than God. Our English word covet means to intensely or obsessively desire. It frequently refers to lusting after something (or someone) that belongs to someone else. Many don't realize how greed is impeding their spiritual growth and how necessary it is to overcome the deadly and deceitful sin of covetousness. The founder of Christianity once remarked that “it is more blessed to give than to receive” (Acts 20:35), to extend a helping hand to the needy rather than amass wealth for oneself. When giving is practiced, the giver and the receiver ultimately benefit. Of course, the prevailing practice of the modern world is the opposite: the way of getting, the practice of acquiring possessions. Many people behave like the man in the parable who said to himself, “Soul, you have many goods laid up for many years; take your ease; eat, drink and be merry” (Luke 12:19). But the man in this story did not please God, who plainly disliked his callous, selfish attitude and love of the material world. Humanity has long been afflicted by the curse of covetousness. Jesus Christ warned the people of His day: “Take heed and beware of covetousness, for one’s life does not consist in the abundance of the things he possesses” (Luke 12:15). Is coveting a problem we should take seriously? In Colossians 3:5 the apostle Paul directs us to “put to death” our fleshly desires, including “covetousness, which is idolatry,” or, as one translation puts it, coveting is equivalent to “the worship of strange gods” (Bible in Basic English). Why is covetousness equated with idolatry? What is the connection? What is the Bible definition of covetousness, and why is it a sin? And, most important, how can we overcome the sin of coveting? The biblical meaning is much the same, though expressed through a variety of Hebrew and Greek words. For example, the Hebrew chamad , which is used in the Tenth Commandment, means “to greatly delight in” and can refer to a legitimate desire as well as immoral greed. Taking great delight in something certainly is not always wrong. God tells us in 1 Corinthians 12:31 that we should “covet” (King James Version), or “earnestly desire” (New King James Version), spiritual gifts. We should greatly desire the good things God has to offer. One of those gifts, which Paul described, was the ability to speak in an edifying, exhorting and comforting manner. This is a prime example of longing for-desiring-something good. Desire is not inherently evil, but the channeling of our longings toward what cannot be rightfully ours or into harmful and destructive obsessions is the sin of covetousness. Simply put, God allows us to rightly desire some things but not others. There is nothing wrong with wanting things that will make our lives more comfortable or enjoyable, so long as it doesn’t interfere with our relationship with God. We should seek after spiritual gifts. Yet improper desire, the sin of coveting, is everywhere condemned in Scripture. 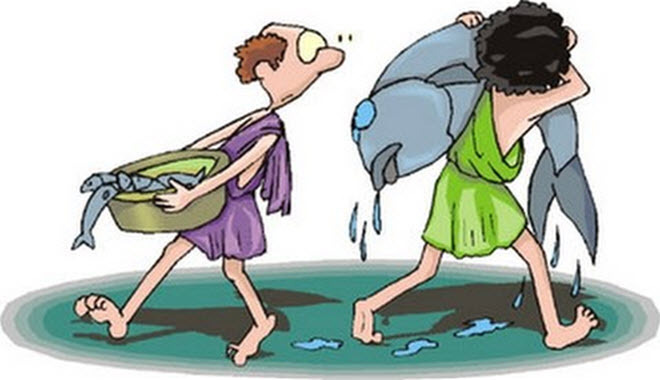 The Tenth Commandment forbids us to covet a variety of things that belong to others-our neighbor’s house, wife, servant, ox, donkey and, in fact, “anything that is your neighbor’s” (Exodus 20:17). This covers the whole range of possessions. Some of the examples in Exodus 20 concerning the commandment on coveting may seem antiquated to our modern way of thinking. After all, most of us do not own donkeys or employ servants. However, if we look closely at the forbidden list, it includes, in principle, a virtual wish list of everything we could desire in modern society. Take a closer look at the listing of prohibited items in Exodus 20:17. Notice that it includes someone else’s house, wife, manservant, ox, donkey and anything else that belongs to him. This enumeration includes many of the basics of life: property, the marriage relationship, household appliances and tools, machinery used at work and one’s means of transportation. In other words, God forbids us to desire another person’s mate, microwave oven, tool set or car. God’s instructions are timeless. Coveting eminently applies to this day and age, when so many people are drowning in debt because they have bought so many items they lusted after but couldn’t afford. What’s wrong with wanting physical things? But back to the question: What is the connection between covetousness and idolatry? Why, in God’s eyes, is unlawful desire considered the equivalent of committing idolatry? First let’s ask and answer another question: Why do we take such pleasure in physical things we shouldn’t have? We love them because they give us a feeling of fulfillment. They make us happy, at least temporarily. Ultimately the forbidden but coveted fruit attracts us through our senses of touch, taste, smell, sight and hearing, but the initial act of desire takes place in the mind. Coveting, when actually carried out, can easily become the sins of adultery, stealing and lying. Our tendency to covet can lead us to idolize , to actually worship, the physical as our source of contentment. Just as adherents to pagan religions bowed down to inanimate objects they thought could make them happy, we convince ourselves that physical things will make us happy and provide us peace and joy. Illustrating mankind’s obsession with idols, God describes a man who pays deference to an inanimate object and cries, “Deliver me, for you are my god!” (Isaiah 44:17). Our human tendency is to look to the idol of our choice to deliver us from difficulties and disappointments. We expect the physical things on which we set our hearts and minds to bring us happiness. The problem God finds with such a shortsighted view is that we enlist the physical to compete with the spiritual. Our idols-the things on which we set our hearts and minds-directly compete with the Spirit of God and interfere with our relationship with God. We think the objects of our affection will satisfy our innermost cravings, even though God says His Spirit alone can truly satisfy: “But the fruit of the Spirit is love, joy, peace, longsuffering, kindness, goodness, faithfulness” (Galatians 5:22). Love, joy, peace and the other fruits of God’s Spirit should be visible in our lives whether we have all that we desire or not. If we feel good only when we gain what we desire, we revere our physical possessions and are guilty of coveting and idolatry. A perceptive person recently suggested to me that happiness is a mode of travel, not a destination. As we travel through life toward our goal, the Kingdom of God, we are supposed to be happy. But what about circumstances that don’t lend themselves to peace and a serene sense of well-being? Let Paul comment on that: “I have learned in whatever state I am, to be content: I know how to be abased, and I know how to abound. Everywhere and in all things I have learned both to be full and to be hungry, both to abound and to suffer need. I can do all things through Christ who strengthens me” (Philippians 4:11-13). When Paul wrote these words to the church in Philippi, he existed as a manacled prisoner, yet he lived contentedly. He had learned that contentment did not depend on material possessions. Paul, who spent most of his adult life as a sojourner establishing, strengthening and building the Church, and his last few years as a prisoner, could not be said to have led a covetous life. Paul realized he had much to be happy about-the glory and majesty that will be his in God’s Kingdom. When we keep our eyes on the reality and significance of our calling, we find it easier to ignore the glitter of material gain. Jesus Christ reminds us of our priorities: “But seek first the kingdom of God and His righteousness, and all these things shall be added to you. Therefore do not worry about tomorrow, for tomorrow will worry about its own things” (Matthew 6:33-34). Jesus showed us that, when we keep the Kingdom as our goal by obeying His spiritual law, everything else is taken care of, so don’t worry about-to the point of coveting-things you don’t have. This brings us to the question of how we can overcome covetous thoughts. The Bible gives us three keys to conquering this sin. •Key No. 1: Love and obey God. The first key is found in the commandment against idolatry. After God speaks out against idolatry, He states that He shows “mercy to thousands, to those who love Me and keep My commandments” (Exodus 20:6). Compare this to what we are told regarding the last days, that many in the end time will be “lovers of themselves, lovers of money” (2 Timothy 3:2). God tells us that, if we love Him first and foremost, we will not be guilty of idolatry through covetousness. However, if we love only ourselves, we will covet. Above all, we will probably desire money, which we look at as simply the power to buy anything our heart desires. When we stop to think about it, we realize that loving ourselves before God makes no sense. God is spirit and eternal; we are of the dust, physical and temporal. God can let us live forever (Romans 6:23); most of us will live physically only 70 or 80 years. Everything good and true comes from God (James 1:17). All the flawed presents we could buy are like the water in a barrel with a hole in the bottom. Every physical thing is temporary, like a mist that exists for a short time and then disappears. What about us is worthy of love? Without a spiritual relationship with God, we go to our grave and are forgotten (Ecclesiastes 9:5). God offers us a wonderful future, and that brings us to the second key to overcoming covetousness. •Key No. 2: Ask God for faith. Ephesians 5 warns that no “covetous man, who is an idolater, has any inheritance in the kingdom of Christ and God” (verse 5). Covetousness is the lust of the senses. Faith in God’s inheritance focuses our desire on something far more important and permanent, on things we cannot see. “Now faith is the substance of things hoped for, the evidence of things not seen ” (Hebrews 11:1, emphasis added throughout). An idolater longs for what he sees (or hears or feels) and pays no attention to the unseen spiritual aspects of life. The godly, those who are heirs with Christ (Galatians 3:29), hope for an inheritance in the Kingdom of God, which for the time being they can’t see. That takes faith. Moses chose to forsake the pleasures of sin and suffer affliction because he counted “the reproach of Christ greater riches than the treasures of Egypt” (Hebrews 11:26). He believed God, diligently sought Him and looked for his reward from God (Hebrews 11:6). King David, too, focused on the “fullness of joy” and “pleasures forevermore” from God (Psalms 16:11), rather than material things of the world. When life grows empty and you desire to embark on some kind of binge-to satiate yourself, to seek fulfillment by substituting the material for God’s Spirit-simply ask God for the faith to wait for the better blessings He has in store for you. Ask for faith to trust in Him and be content with His Spirit and the promise of happiness in His Kingdom. Then work hard and rely on God, who pledges to supply your spiritual needs (Philippians 4:19). •Key No. 3: Help others. A key to conquering covetousness is to help others. Spending time with widows, the ill, the elderly and the incapacitated does wonders to focus our minds on serving rather than seeking to fulfill our own desires. We receive a fulfillment and contentment by helping others that physical things cannot give us. Something happens when we practice true and undefiled religion (James 1:27). We realize that people with few possessions can learn important spiritual lessons; they can learn to “beware of covetousness, for one’s life does not consist of the abundance of the things he possesses” (Luke 12:15). We find that we grow happier by giving than by receiving (Acts 20:35). We learn to love people and use things, rather than love things and use people. God frees us from the distractions that could tempt us to covet and thereby prevent us from gaining eternal life in His Kingdom. God knows that a covetous spirit cannot be satisfied (Ecclesiastes 1:8). He knows that, if He allows the covetous to obtain eternal life, they will lust after the one additional thing they do not have: God’s throne! The covetous person will not be satisfied until he can have everything. He who knows only discontent in one place will not find happiness in another; he will always want more than is rightfully his. That’s why coveting is idolatry. However, when we reign with God in His Kingdom, His Spirit will have convicted us and enabled us to overcome all sin, including covetousness, for eternity. “If the Spirit of him who raised Jesus from the dead dwells in you, he who raised Christ from the dead will give life to your mortal bodies also through his Spirit that dwells in you” (Romans 8:11, New Revised Standard Version). Christ’s followers, people with the Holy Spirit, bear the fruit of satisfaction and contentment-love, joy and peace of mind (Galatians 5:22). With God’s Spirit comes the assurance of our gaining entry into God’s Kingdom (Ephesians 1:14), having shed the sin of covetousness. “Covetousness” means desiring something other than God in the wrong way. But what does that mean—“in the wrong way”? The reason this matters is both vertical and horizontal. Idolatry will destroy our relationship with God. And it will destroy our relationships with people. All human relational problems—from marriage and family to friendship to neighbors to classmates to colleagues—all of them are rooted in various forms of idolatry, that is, wanting things other than God in wrong ways. 1. Enjoyment is becoming idolatrous when it is forbidden by God. For example, adultery and fornication and stealing and lying are forbidden by God. Some people at some times feel that these are pleasurable, or else we would not do them. No one sins out of duty. But such pleasure is a sign of idolatry. 2. Enjoyment is becoming idolatrous when it is disproportionate to the worth of what is desired. Great desire for non-great things is a sign that we are beginning to make those things idols. 3. Enjoyment is becoming idolatrous when it is not permeated with gratitude. When our enjoyment of something tends to make us not think of God, it is moving toward idolatry. But if the enjoyment gives rise to the feeling of gratefulness to God, we are being protected from idolatry. The grateful feeling that we don’t deserve this gift or this enjoyment, but have it freely from God’s grace, is evidence that idolatry is being checked. 4. Enjoyment is becoming idolatrous when it does not see in God’s gift that God himself is more to be desired than the gift. If the gift is not awakening a sense that God, the Giver, is better than the gift, it is becoming an idol. 5. Enjoyment is becoming idolatrous when it is starting to feel like a right, and our delight is becoming a demand. It may be that the delight is right. It may be that another person ought to give you this delight. It may be right to tell them this. But when all this rises to the level of angry demands, idolatry is rising. 6. Enjoyment is becoming idolatrous when it draws us away from our duties. When we find ourselves spending time pursuing an enjoyment, knowing that other things, or people, should be getting our attention, we are moving into idolatry. 7. Enjoyment is becoming idolatrous when it awakens a sense of pride that we can experience this delight while others can’t. This is especially true of delights in religious things, like prayer and Bible reading and ministry. It is wonderful to enjoy holy things. It is idolatrous to feel proud that we can. 8. Enjoyment is becoming idolatrous when it is oblivious or callous to the needs and desires of others. Holy enjoyment is aware of others’ needs and may temporarily leave a good pleasure to help another person have it. One might leave private prayer to be the answer to someone else’s. 9. Enjoyment is becoming idolatrous when it does not desire that Christ be magnified as supremely desirable through the enjoyment. Enjoying anything but Christ (like his good gifts) runs the inevitable risk of magnifying the gift over the Giver. One evidence that idolatry is not happening is the earnest desire that this not happen. 10. Enjoyment is becoming idolatrous when it is not working a deeper capacity for holy delight. We are sinners still. It is idolatrous to be content with sin. So we desire transformation. Some enjoyments shrink our capacities of holy joy. Others enlarge them. Some go either way, depending on how we think about them. When we don’t care if an enjoyment is making us more holy, we are moving into idolatry. 11. Enjoyment is becoming idolatrous when its loss ruins our trust in the goodness of God. There can be sorrow at loss without being idolatrous. But when the sorrow threatens our confidence in God, it signals that the thing lost was becoming an idol. 12. Enjoyment is becoming idolatrous when its loss paralyzes us emotionally so that we can’t relate lovingly to other people. This is the horizontal effect of losing confidence in God. Again: Great sorrow is no sure sign of idolatry. Jesus had great sorrow. But when desire is denied, and the effect is the emotional inability to do what God calls us to do, the warning signs of idolatry are flashing. Every Christian who desires to have an increasingly closer walk with the Lord and who also desires to be as fruitful as possible in God's kingdom needs, as part of their ongoing Christian discipleship, to have their spiritual eyes opened to the universal invasiveness of principalities and powers in their lives. Modern day idolatry, just like OT idolatry, includes loving to fulfill the desires of our flesh and loving the world – elevated status and position, power, influence, wealth and things - coveting what others have. God specifically calls covetousness idolatry since it is the desire to have things. So, since God is the same today, yesterday and forever (Heb 13:8), then the consequences for practicing idolatry are still the same today. Synonyms for covetousness include greed and materialism – the desire to have the things that others have. In the English speaking world we have an idiom that expresses this idolatry, “Keeping up with the Joneses”. This refers to the comparison to one's neighbor as a benchmark for social class or the accumulation of material goods. God simply calls it covetousness, which is idolatry. The OT Israelites were constantly looking at what the other nations around them had and they wanted it too. (1 Sam 8:19-20, Ezek 20:32-33) The spiritual result of idolatry is that, if we practice it, we become like the idols, which are deaf and blind, so we too, like the OT Israelites, will become spiritually deaf and blind to the spiritual reality of the kingdom of God and God’s righteous requirements. In addition the Lord says that he shuts idolaters' hearts so that they will not understand. (Isa 44:18) Not a good place to be! If we seek first God and His kingdom above all other things He promises to provide for our needs and we should be content with God's promised provisions both now and in the future. We must also believe that we can do all things through Christ Jesus who strengthens us.